We offer a weekly extended day program for most of our camp sessions. Choose our AM program, PM program or both. PM participants will receive an afternoon snack, have time in the gym, participate in daily art projects, group games and outdoor play. 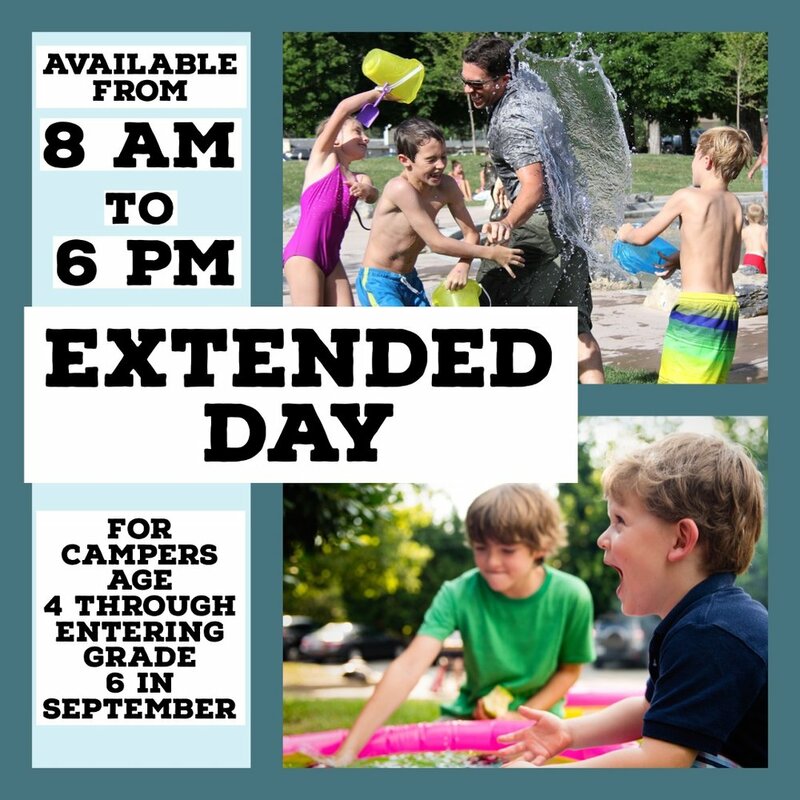 PM Extended is NOT available to half day campers.